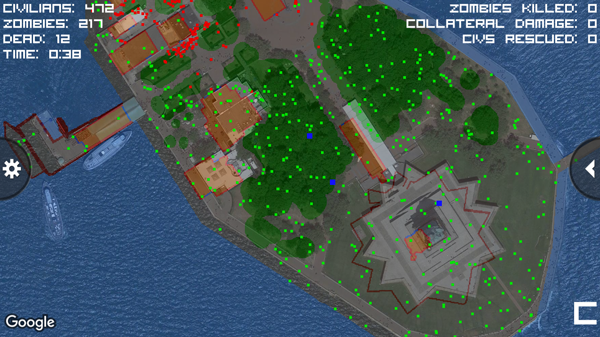 I’ve spent the last eight years working on Class 3 Outbreak and Zombie Outbreak Simulator. 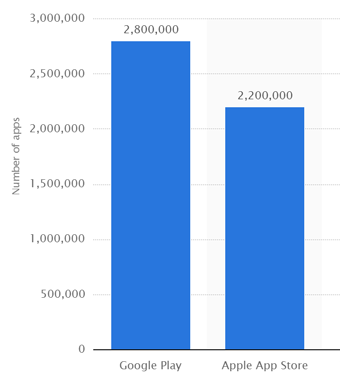 These games have over 1.8 million downloads on Android/iOS, and on the web have been played over 9 million times by over 3 million people. I announced recently that I’m starting a brand new zombie game. We’re now looking to hire a writer to join the core creative team who will create this new game. 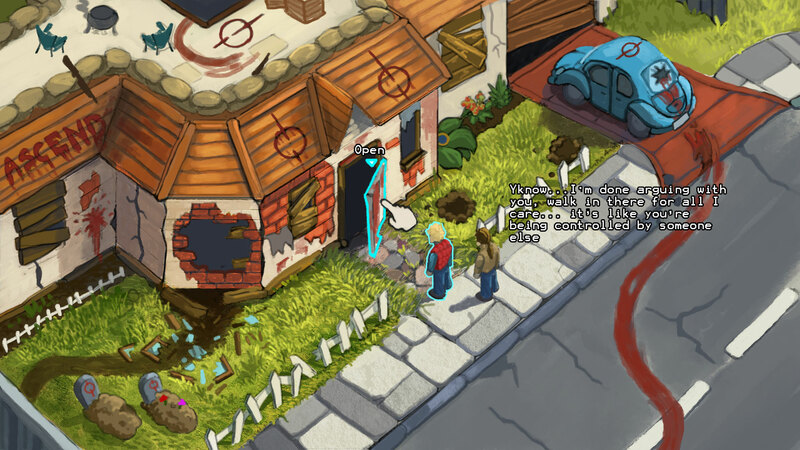 The game will be a zombie adventure game, reminiscent of the old-school adventure games like Monkey Island and Space Quest IV that I played and loved back in the early 90s. There’ll be zombie-smashing action, but also just as much emphasis on a great story, solving puzzles, and humour. We already have Chris on board as concept artist, and we are now looking for you the writer and a game designer to fill out the core creative team. This is the very start of this game, and so together with the team you will have full creative control to make the game you want to make. We want to bring something new to the zombie genre, rather than the same old thing that’s been done to death. You should be a fan of zombies – so you’ll know what makes zombies great, and also what’s been done so many times before that it’s time to do something else. We’ll discuss our current ideas for the game in more detail during the interview process, so you can get a better feel for whether this is the right project for you. This role can be full-time, part-time, and/or in your spare-time around something else – I’m open to whatever works for you. We are also looking for a game designer – maybe you’d be interested in both roles? You might also have other skills that you’d bring to the team – like programming, artwork, music, other? Update 4th August: Thanks everyone who has applied! We received 79 applications for this and the game designer positions – 31 designers, 29 writers, and 19 combination designer/writers. We are now interviewing the top candidates, and so applications for these positions are now closed. We’re now looking to hire a game designer to join the core creative team who will create this new game. We already have Chris on board as concept artist, and we are now looking for you the game designer and a writer to fill out the core creative team. This is the very start of this game, and so together with the team you will have full creative control to make the game you want to make. We want to bring something new to the zombie genre, rather than the same old thing that’s been done to death. You should be a fan of zombies – so you’ll know what makes zombies great, and also what’s been done so many times before that it’s time to do something else. We’ll discuss our current ideas for the game in more detail during the interview process, so you can get a better feel for whether this is the right project for you. This role can be full-time, part-time, and/or in your spare-time around something else – I’m open to whatever works for you. There are a lot of facets to game design, and you might be the kind of person who wants to do everything, or you might want to do high-level design concepts and work with other people to build them, or somewhere in between. We are also looking for a writer – maybe you’d be interested in both roles? You might also have other skills that you’d bring to the team – like programming, artwork, music, other? Links to some examples online of your best work (could be videos, or playable games). If you have a portfolio of several projects, point out a couple that you are most proud of, or that you think are most relevant to this new zombie game. Update 4th August: Thanks everyone who has applied! We received 79 applications for this and the writer positions – 31 designers, 29 writers, and 19 combination designer/writers. We are now interviewing the top candidates, and so applications for these positions are now closed. I just thought I’d do a quick post to welcome Chris Gardula to Binary Space! 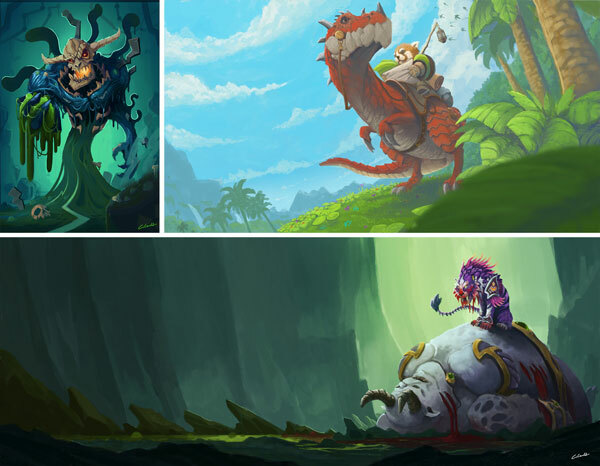 You can see more of Chris’s awesome work on Facebook, ArtStation, Instagram or Twitter. I’ve spent the last eight years working on Class 3 Outbreak and Zombie Outbreak Simulator. These games have over 1.8 million downloads on Android/iOS, and on the web have been played over 9 million times by over 3 million people. I announced yesterday that I’m now starting a brand new zombie game. 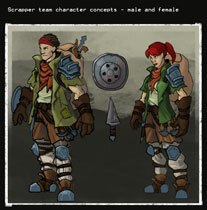 So, as the first step I’m now looking to hire a Concept Artist. At this stage I have some very rough ideas of what the game will be. 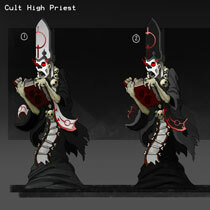 I’m looking for you to put together some rough sketches of how the game could look and play. This is the very start of this game, and so you’ll have complete freedom to come up with whatever you want, including experimenting with a handful of variations. 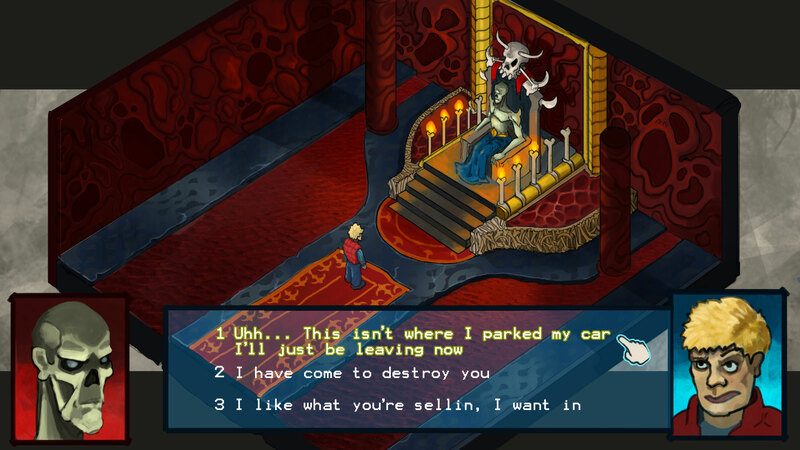 Although a successor to Binary Space’s previous games, the new game won’t have the same style or game play, and so you won’t be constrained by those. I’ll give you more details of what I have in mind during the interview process, so you can get a better feel of whether this is the right project for you. For now this is just a short-term contract. It can be full-time, part-time, and/or in your spare-time around something else – whatever works for you. In the future if we work well together this may expand into more work – eg as Art Director or Lead Artist for the project, more ad-hoc concept art, or whatever role you might be interested in. Or if you’re just looking for a short-term gig right now, that’s cool too. Update 29-May: Thanks everyone who has applied – I’ve received over 40 applications! I am now interviewing the top candidates. I have replied to everyone – so if you haven’t heard back from me, please try contacting me again. There is still time to get in an application, but you’ll need to be quick! What Next for Binary Space? A few months ago I wrote about the eight years of zombie games that Binary Space has developed. Here’s a timeline showing the milestones of the major releases of Class 3 Outbreak (C3O) and Zombie Outbreak Simulator (ZOS), as well as a high-level view of what we were working on month-to-month. For most of those eight years I’ve worked on Binary Space in my spare time around my full-time day job and family. 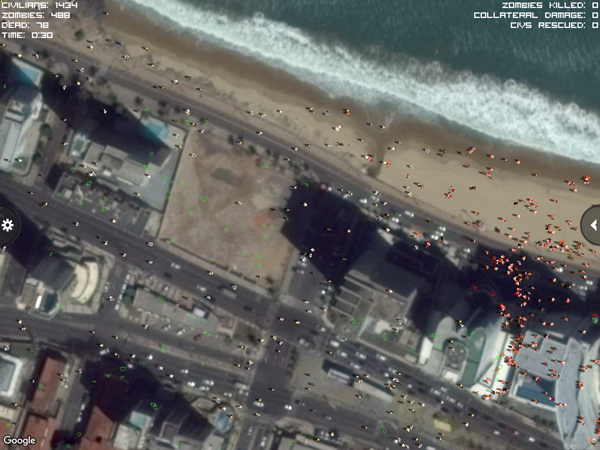 There was a brief period in mid 2011 when I took a break from work for 6 weeks to focus on Binary Space full-time – but this turned out to be a disaster when our funding fell through. For about 7 months in 2014 I dropped to working 4 days a week so I could spend the extra day a week on creating ZOS for Android, in addition to my spare time. And in July and October 2016 there was a bit of a lull with my day job and so I was able to spend a bit more time working on the ZOS for iOS update. There have also been a few gaps over the years in working on Binary Space – mostly just taking a break between releases, or when I started working at a new startup at the beginning of 2015 which took up all my spare time. For most of Binary Space’s history it’s made almost no money at all. For the first 4 years up until January 2013, I made a grand total of $120 of profit. In 2014, although ZOS for Android was built using funding from Screen Australia (thanks Screen Australia! ), I gave most of the funding to people I hired, only paying myself $700 (for 700 hours of work!). Due to the extra funding that Screen Australia provided (I originally asked for $20k but they gave me $30k instead), ZOS for Android contained a bunch of extra features over ZOS for iOS. 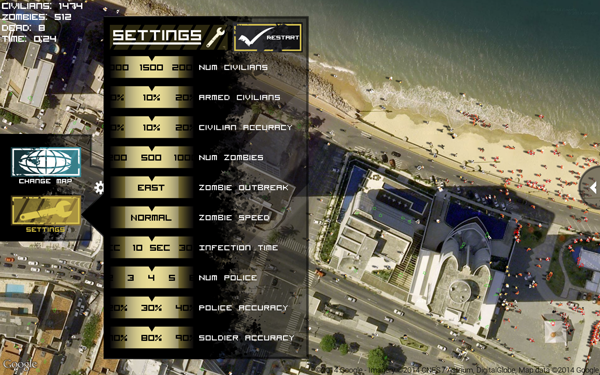 This included soldiers, rescue helicopters, player maps, and a whole new UI. My plan had always been to port these new features back to iOS as well, but with being busy in 2015 and the not-so-great response to ZOS for Android, this got put on hold. But then, later in 2015 ZOS for Android suddenly picked up all by itself, without me doing anything! So, early in 2016 I was inspired to finally get back to ZOS for iOS, with the update released in October 2016. 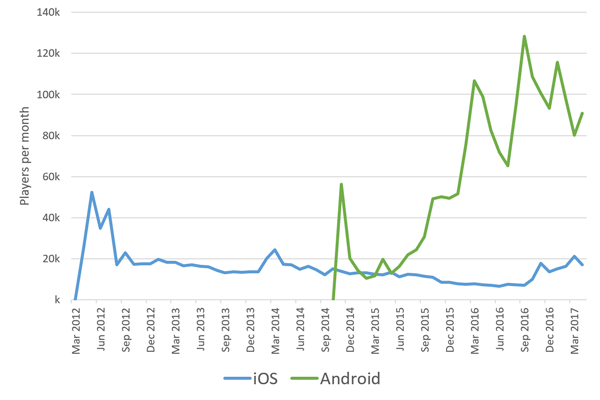 After no updates for so long, ZOS for iOS was way behind ZOS for Android in terms of the number of people playing it. So after the update was released, I spent a bit of time on marketing it – as well as taking a bit of a break. And so now, for the last few months I’ve been thinking about what to do next. 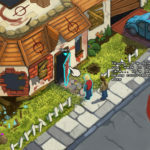 Way back in 2009 Jay and I started developing the original C3O – a game where you controlled a small group of people (police, scientists, pilots) against the backdrop of a zombie outbreak. 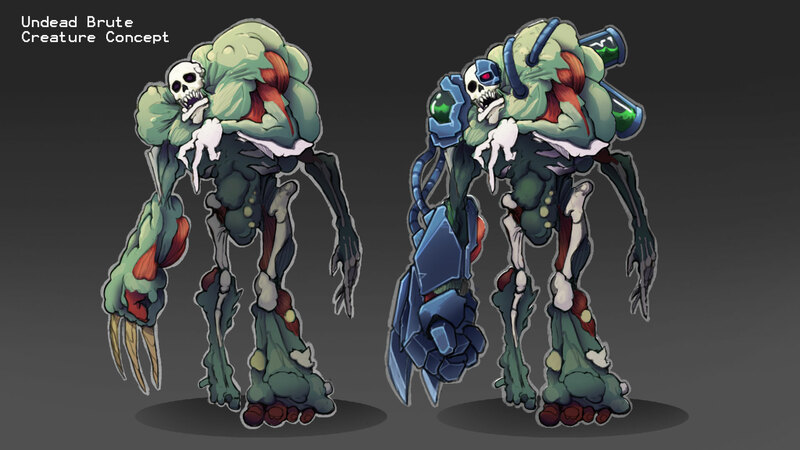 In 2010 we renamed the original Class 3 Outbreak to ‘Classic Class 3 Outbreak’, and started developing a new C3O based on an editor. Again in this game you controlled a small group of people (this time surviving civs) while the outbreak raged around you. We launched an open beta for C3O and continued adding more to it, but it has always been a long way from completion. We never really planned to develop ZOS at the beginning. We initially created ZOS for the web as a ‘teaser’ for the full game of Classic C3O. 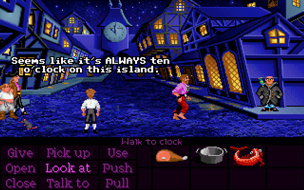 It wasn’t really a game at all – just a toy where you could tweak settings. Then in 2011 when we decided to try iOS development, we thought we’d do ZOS first as it was the simplest possible thing to try. 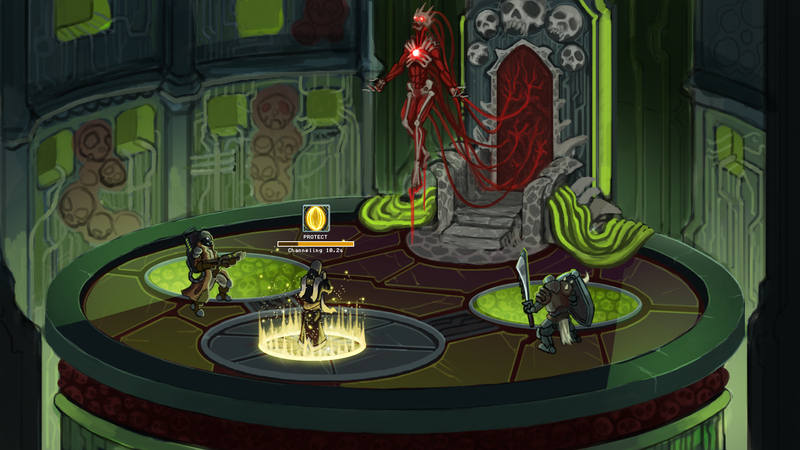 And then again in 2013, I decided to port ZOS to Android first. Although I added a few extra features to C3O back in late 2012 / early 2013, development of C3O has basically been on hold since around mid 2011, and the major focus for ages has been on ZOS and mobiles. I’m currently in the extremely early stages of planning this game. Right now it’s little more than an idea, and so I’m still figuring out all of the details myself. I’ll post more info about what I’m thinking the game will be like as things progress. One great thing is that both ZOS for Android and ZOS for iOS since the update are continuing to do well. I now have a sizeable chunk of cash that I’ve been saving up while I considered what to do next. And so I’ll be able to afford to hire people to help me out on the new game. If you’re interested, keep an eye out for the job ads I’ll be posting soon (or if you’re super-keen, feel free to contact me now). I still have the day job and so will still be working on Binary Space in my spare time as I have through its whole history. But now that I’ve started something new, and now that I can afford to hire people to help, I’m aiming for development to progress at a steady pace. This month marks eight years since Jay Weston and I started Binary Space, way back in February 2009. Jay and I had worked together eleven years earlier at the game developer Ratbag, on Powerslide (released 1998) and Dirt Track Racing (released 1999). We hadn’t spoken in years (and I’d moved to a different state, 2700 km away), but we started chatting over email after a LinkedIn update. Then Jay said “Do you ever think about getting back into games?”, and pitched me his idea for a zombie game. So, I thought that I’d commemorate this milestone with a look back at what Binary Space has done over that time! 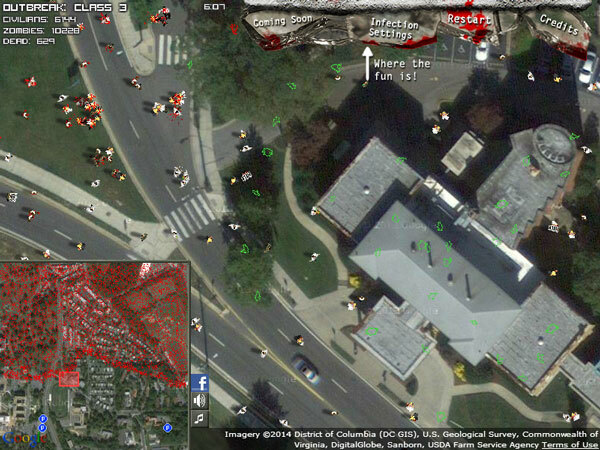 In November 2009 we released the original web-based Zombie Outbreak Simulator. It has since been played over 1.3 million times by over 800,000 people. In April 2010 the original Class 3 Outbreak was released. It has been played over 2.4 million times by over 1.4 million people. 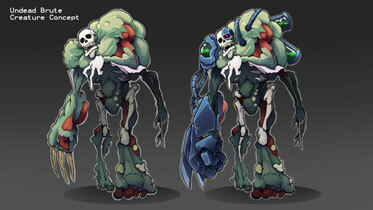 Then in April 2011 we released the beta for the new Class 3 Outbreak based on an editor. This allowed players to make their own zombie apocalypse anywhere in the world. Over 5 million games have been played by over 1.2 million people. 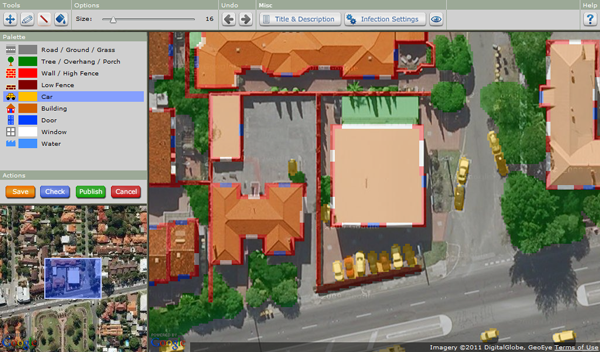 Players have created over 20,000 maps, with over 2,500 of them featured on the home page. 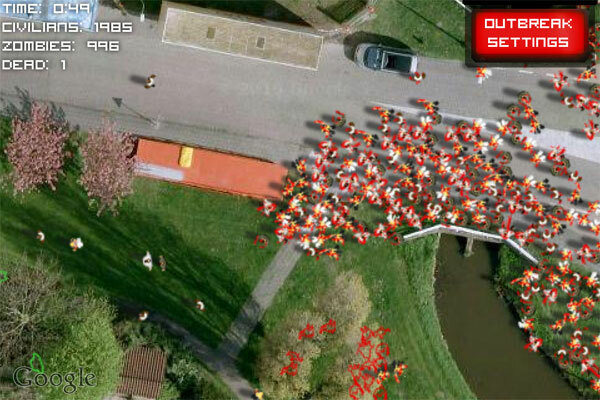 In April 2012 we released Zombie Outbreak Simulator for iOS. It has since been downloaded by over 400,000 people. In December 2012 Jay and I decided to part ways. I took over Binary Space, in return for giving Jay a share of future revenue. 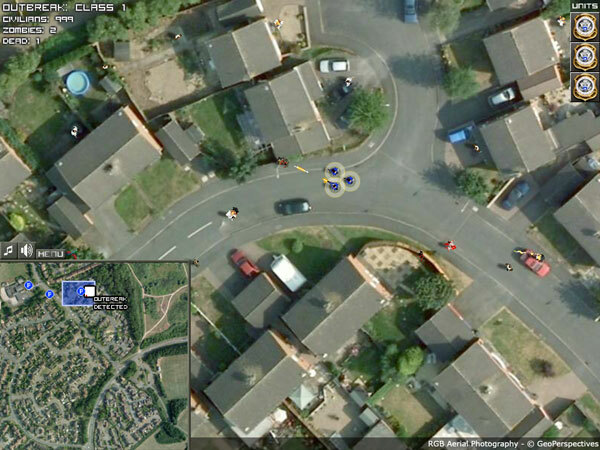 So since then I’ve been running Binary Space by myself (hiring a couple of people to help out here and there). Jay has since started his own games company Exbleative, releasing Unknown Orbit and now working on EXO ONE. 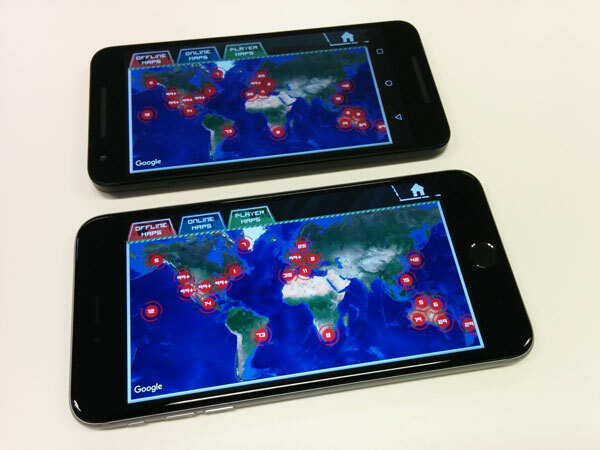 Finally in November 2014 I released Zombie Outbreak Simulator for Android (with help from James on artwork and Tim on programming). It is now at over 1.1 million downloads! And in case you’re curious, here’s some stats on the number of people playing every month, across each platform: the original web-based games, ZOS for iOS and ZOS for Android. 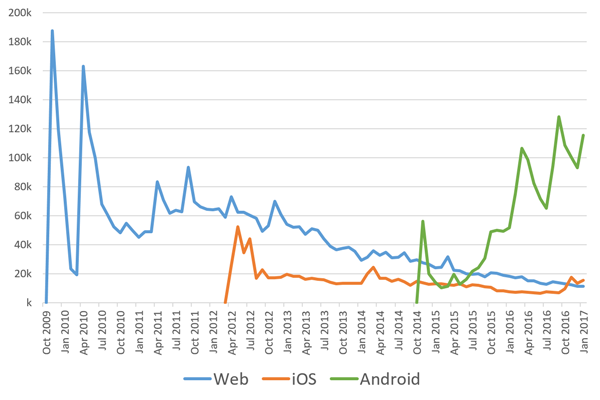 The web-based games have gradually declined over time, as has iOS although it picked up recently since the update released last year. Android is now the overall best performer. 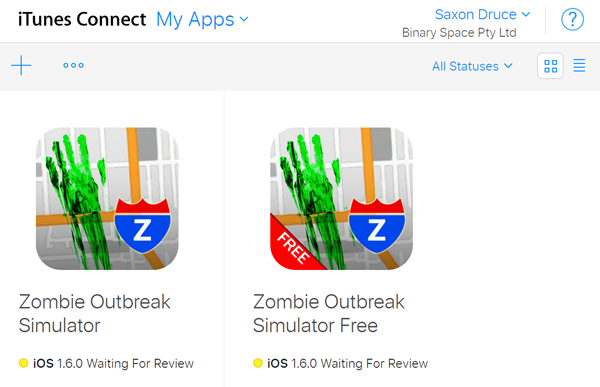 Zombie Outbreak Simulator for iOS Update Released! Apple approved the update for ZOS on iOS, so it’s now available on the store. Woohoo!! 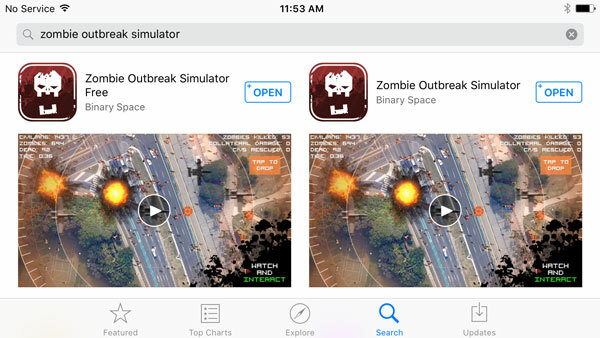 You can get the free version of Zombie Outbreak Simulator for iOS (free to download and try out, with in-app purchases to upgrade), or if you’re sure you want everything you can go straight for the paid version. ZOS for iOS: Update Submitted to Apple! In my last post on the ZOS for iOS update I had all the maps, all the actions (bombs, soldiers, helicopters), and all the usual zombie mayhem all working. So it was “almost” ready, right? Well, not quite. 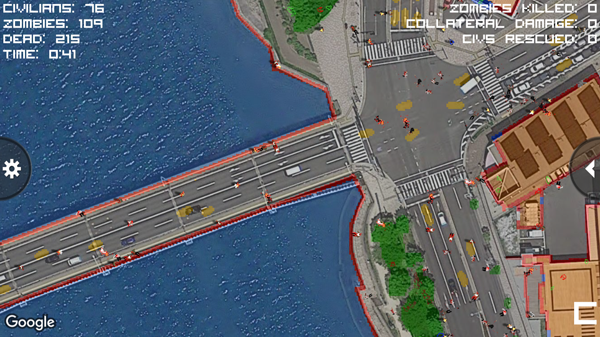 There were a whole bunch of tedious things left to do – like the tutorial, credits, sharing, purchases, ads, crash reporting, analytics, debugging, and fixing featured maps. Plus random issues with the Android version that I had to jump over and fix in the meantime. That’s why it’s been over two months! However, I have now finally finished, woohoo!!! I’ve just submitted the update to Apple for them to review. Pretty soon those old app icons will be no more – the update uses the new icon from the Android version. 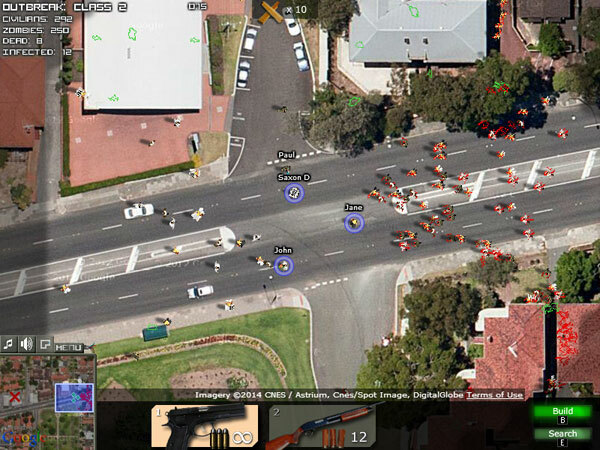 I’ve just released the third beta for the Zombie Outbreak Simulator for iOS update that I’m currently working on. 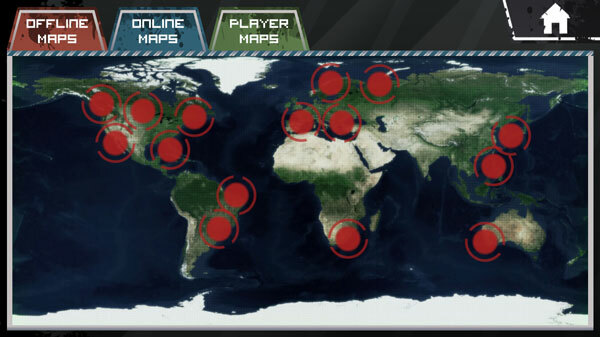 This version includes the ability to play on any of the over 2,500 player maps created at www.class3outbreak.com. There’ll be a few more beta releases before the game is ready for a full release, so there’s still time to sign up to help beta test if you’d like to. Just fill out this form and I’ll send you an invitation within a few days. If you’ve already signed up and haven’t received your invitation, let me know.